If you want to read and study the Bible, but don’t know where to start, this is for you! 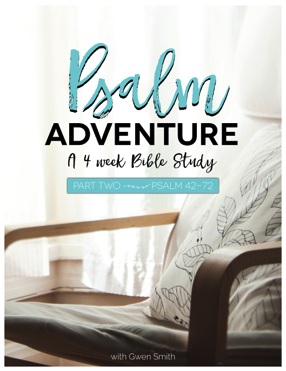 Girlfriends in God cofounderGwen Smith has several online Bible Study options that will guide you on a personal journey with the Lord as you read, record, reflect on and respond to His Word. These studies will help you know what God says about tender topics like forgiveness, healing, fear, depression, relationships and hope. Each study can be done in the comfort of your home and in a timeframe that fits with your personal schedule. Visit www.GwenSmith.net/BibleStudy to learn more.